2015 was an exceptional year for many of the expert betting tipsters we closely monitor here at the Smart Betting Club, with many of our members making outstanding profits following their advice. 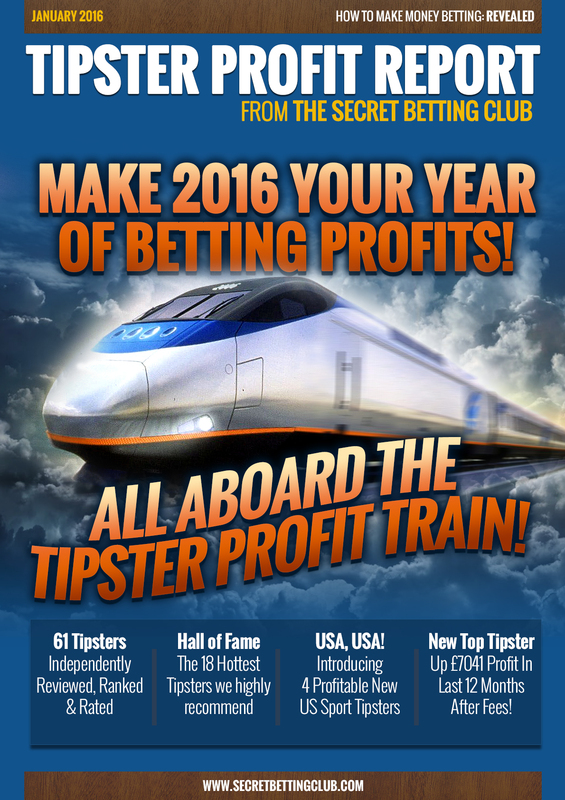 The profits don’t stop there though – as with the release of our new and improved Tipster Profit Report, you too can learn how to make 2016 your year of betting profits. 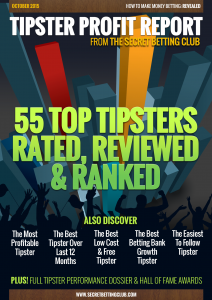 Inside it you can find the latest results, ratings and reviews for 61 of the very best betting tipsters (Horse Racing, Football & US Sports) that we have uncovered in 10 years of independent reporting. Helping YOU identify which tipsters are genuinely profitable. 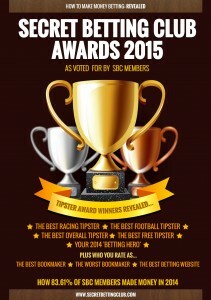 • 61 top tipsters independently reviewed, ranked and rated to help identify the best for you! • Tipster Best Buy Tables – The A to Z on the best performers over the past 12 months & more! • Hall of Fame – The 18 hottest tipsters we highly recommend to make you money betting. • USA, USA! 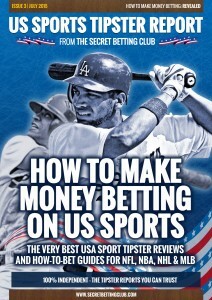 Introducing 4 of the most profitable US Sports Tipsters for the first time. In this latest report you can find just who the best overall tipster services are from the past 12 months as in the example table below. This shows the best 8 racing tipsters AFTER tipster subscription fees have been deducted. 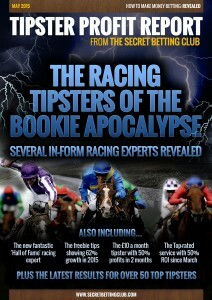 We have blanked out the names of the tipsters as this is for full members only (after all, it’s a secret! ), but as you can see – the top tipsters are making an excellent profit. This table also includes other key figures such as Return on Investment (12 month ROI) and Return on Capital (12 month ROC). In each Tipster Profit Report we produce several other ‘Tipster Tables’ so you can quickly and easily find the best, most profitable services out there. Don’t worry about the £2000 starting betting bank amount either – you certainly do not need that much to get started, it’s just a simple number we use for easy comparison. > Detailed Ratings On Every Tipster: Each of the 61 tipsters we track has its own designated Key Facts Page with 10 different ratings on everything from cost to customer service and profitability. Fink Tank Football System: 54.1 Pts Profit From 131 Bets…. Ahead of the festive season, make sure you check out our red-hot football system – The Fink Tank as we have special half-season subscription rates now on offer….Enabling you to follow all its tips across all the major English Leagues for the rest of the season. With 4 base systems to choose from and a lot of football games and bets to be had over the next fortnight, its a great time to get started following it in! If you listen to some pundits, the current season has been tough to predict yet that hasn’t been the case for the Fink Tank system in 2015. Below you can see the results for the 4 Fink Tank base systems so far this season where the ‘Win Value 15’ base system is leading the way with a 54.1 pt profit and 67.6% Return On Capital (AKA Bank Growth). The other 3 base systems are also showcasing fine profits as well. This form has also translated very well in terms of the actual real-money betting bank growth you will have enjoyed if starting with £5,000 at the start of the 2015/16 season. As the second table below reveals, if following the Win Value 15 base system during this period, you will have made a profit thus far of £3,381.25. The AH Value 15 base system is not far behind with a £2,616.67 profit either. If interested in following the Fink Tank Football Service – you can sign-up now and be in and ready for the next set of bets, due to be released at Midday on Christmas Eve for the fixtures on the 26th and 27th of December. This Thursday sees the start of the PDC World Darts Championship at Alexandra Palace and given the ever increasing amount of interest in the sport we have a special 5 step guide to betting on Darts to share with you today. It has been penned exclusively for the Smart Betting Club by Rich of the OnTheOche Darts tipping service, which has been monitored, proofed and reviewed by ourselves for several years now. Rich has 5 very straightforward and logical tips for those of you interested in having a punt on the Darts, which could very well help you to find a few winners over the course of the next month’s feast of arrows action! The annual Christmas feast of darts is almost upon us again! The biggest tournament of the year, the PDC World Championship, starts up on Thursday 17th December and runs through until the New Year. Straight after that event has finished the BDO World Championship starts up in early January for a couple of weeks (yes, darts has 2 World Championships – long story!). Over the last 10 to 15 years, darts, and specifically the PDC “brand” of darts, has become hugely popular. They sell out huge arenas in a matter of hours, they have sponsors bidding huge amounts to be involved, and last year’s World Championship final between Phil Taylor and Gary Anderson produced Sky Sports highest non-football viewing figures of the year. Not a bad achievement in an Ashes and Ryder Cup year. From a betting point of view this has meant darts has become a great niche for betting as the markets are large enough to have good liquidity and to be able to get a decent bet on, but not quite large enough for the bookies to have a full handle on things outside the top 30 or so players. This often leaves some good opportunities, especially in games featuring lesser known lower ranked or overseas players where we can exploit our darts expert Rich’s in depth knowledge of the lesser known players. As you would expect when you are attempting to accurately throw an object into a very small target, concentration is a big part of darts. To have maximum accuracy you need to have 100% concentration. It is harder than it sounds to keep your concentration at 100% for the whole game, especially in a long game that can last an hour plus.There are certain players who can “doze off” at points in their matches, especially when in a comfortable position in a match against an opponent they know they are better than. The more naturally talented players – the likes of Michael Van Gerwen (MVG), Adrian Lewis, Gary Anderson etc. are usually the biggest culprits for this. For example, let’s say Adrian Lewis is 9-3 up in a first to 16 legs match vs a player ranked 30 to 40 places lower than him. Realistically he knows he has won the game at 9-3 so his concentration wanes a little and thus his scoring drops. This lets his opponent get back 4 of the next 5 legs and we end up with a scoreline of 10-7. At that point with the game back to being somewhat close, Lewis will wake up again and sharpen up his focus and probably end up winning the match comfortably 16-10 / 16-11. Not a problem for Lewis, he has done his job and won the match, but if you have backed Lewis on a -6.5 leg handicap you will be less than thrilled! The likes of MVG, Lewis and Anderson have done this their whole career and no doubt will continue to in the future! Far fewer top players cover the handicap than you would imagine – often for the above reason. There’s nothing wrong with backing favourites on the handicap overall, some players can keep their concentration for a whole game (Phil Taylor in his heyday was superb at it) but you have to know your players and the 3 named players in particular are ones to avoid in the handicap market. A few years back there were 20 to 30 high quality players and they would beat the rest virtually every time they played them. Nowadays there’s much, much more strength in depth in the PDC (not so much in the BDO) and even the players that the average person has never heard of are quality players that on their day can beat anyone outside of the elite top 5 or 6. Unless you are 100% sure that a player isn’t of a high standard, it is very dangerous to assume a player is not a capable opponent nowadays. I’ve lost count of the amount of times I’ve seen people on forums or social media (or even sometimes the pundits on TV!) dismiss a player as having no chance when I know they are decent players that are just yet to show it in a major event. You may have seen a player on TV a couple of times before and they have been poor, but often that can be explained away by being nervous in their first couple of times on the big stage. In my opinion, the default position nowadays should be if a player has managed to qualify for a major PDC event then he must have something about him as he will have beaten at the very least 2 or 3 decent players to qualify. Overall though, be very careful. Outside of backing Taylor and MVG at 1.01, darts isn’t a sport where there are many “safe” short price bets anymore. If you have no real in-depth knowledge of the opponent stay clear. Chances are the guy you think is a no-hoper probably isn’t. The speed a player throws at and the speed his opponent throws at should always be considered before having a bet on darts. Rhythm is an important thing to most darts players. You will often notice when 2 fast players meet it is often a high quality game as the rhythm of the game suits both players. If the same fast player next round plays a very slow player the quality of his game will often drop as the slow play can really disrupt their game and sometimes throw them off all together. It can also work the other way where a slow player will often feel almost pressured to subconsciously speed up when playing a fast player and that throws them off their natural game. It is well known that in football markets more money is backed on things to happen (going overs on goals, cards, corners etc.) than things to not happen (going unders for example). This is a huge, huge generalisation but the darts markets are similar and there’s more money backed on overs markets (180’s, highest checkouts etc.) than unders. At OnTheOche we usually focus more on the match winner markets for their higher liquidity, but if you are betting in over/under markets a decent place to start would be focusing on backing under 180s in matches between well-known high scorers. It is hard for the general betting public to envisage a match between 2 big 180 hitters – say Michael Van Gerwen v Adrian Lewis – not having loads of 180’s. You are virtually guaranteed to get a tiny bit of value in the unders just because the line will be set artificially a little higher than it should be to take into account the likely weight of money. Unlike some sports, adrenaline/nerves/being “up for it” etc. are not helpful emotions for a darts player. Players need to keep as calm as possible in order for their throw to remain steady. A good betting tactic is to try and identify games and/or occasions where a player will be under more pressure and/or be more nervous than usual. Money can often be the primary reason why a player can be over emotional. While the top 5 or 6 players in the PDC are earning between 500k and £1m+ per year comfortably, and the rest of the top 20 are earning low six figures, life isn’t so comfortable for the players lower down the rankings. Most of the players outside the top 40 are playing to put food on the table each week. I know of at least 3 players who haven’t had the best of times in the past couple of years, and for whom this upcoming World Championship is their “last chance saloon” to earn some decent money. Fail to do so and they are probably looking at having to give up darts as a full time profession and going back to the real world. These are guys who have been pro’s for 10+ years grinding out a living on the pro tour and have no idea what they are going to do away from darts to put food on their families table. As you can imagine it is a very stressful time for them. The pressure that puts on their game is obviously huge. Trying to keep a steady hand, stop your heart racing and keep composed when throwing a dart at a double that can decide you, and your families, future is very, very difficult. An easier to spot example would be a player who doesn’t have much experience of playing on the big stage. It can’t be overstated how nerve-wracking it can be. The week-to-week pro tour is played behind closed doors with no crowd or cameras. So it can be a huge shock to the system to a player suddenly going from that to playing in front of thousands of noisy fans and having 20 TV cameras in your face for the first time. The vast majority of players take time to adapt, even the very top players. When Peter Wright first joined the PDC he was superb on the tour but crumbled every time he got to the big stage for at least 2 years. Gradually he got used to it and now he revels in the attention. Gary Anderson was the best player in the BDO by a mile a few years back but lost in the 1st round every year in their World Championships because he wasn’t used to playing under that pressure. Once he started doing it all the time when he moved to the PDC he gradually became used to it. It is a big ask to expect new players to just start playing well straightaway on the big stage. From a betting point of view, it is important to know as much as possible a players’ individual circumstances. While every player is under some sort of pressure in a big event like the World Champs that has big prize money, some are under huge pressure and I’m not sure I’d want to be backing someone who is playing under the strain of this 1 match deciding his future livelihood. So there you have it – 5 simple tips to make the most of your darts betting over the course of the next month or so and both the PDC and BDO World Championships. This article was penned by Rich from the OnTheOche darts tipping service. Since launch 9 years ago, they have returned a 186pts live profit, including a 26.67pts profit (12.2% ROI) over the past 18 months and currently a 14.16pts profit (11.6% ROI) so far in 2015. If interested in the OnTheOche service you can enjoy a £5 discount as an SBC member for their advice in both the PDC and BDO world championships. If you are looking to source the very best tipsters, learn from some of the shrewdest betting experts or follow genuinely good tips for free, then here at the Smart Betting Club we have plenty to help you. This year alone we have published numerous winning tipster reviews, hosted several freeprofit-making tipping threads on our forum and penned countless expert articles all dedicated to helping improve your betting. So much so, that today I want to share details on some of the highlights of what we have published in 2015. It isn’t an exhaustive list but more of a ‘best of the best’ in terms of how we have helped our members this year and how we can help you. The asian handicap football tipster with a 51% strike-rate and over 1800 points profit since 2009. The profitable multi-sport tipster with an 81% strike-rate. Ideally suited if you’re a ‘restricted punter’. The full-time racing tipster with 484% bank growth in 15 months. The flat racing expert up 23.3% ROI from over 1000 bets. The racing expert with 2.5X betting bank growth in the last 12 months alone. The niche-market football tipster with 112% betting bank growth. The racing tipster with high turnover profits – 214% bank growth in 14 months. The football tipster with 120% profit from over/under goals betting since 2012. The computer generated racing tipster profits – 200% bank growth in 6 months. The big race specialist hitting 21% ROI from major meetings. Our VPN Update on the latest software to help protect your betting identity. Irish racing expert & author Kevin Blake discusses the secrets behind his punting success. Q&A with SBC members’ favourite racing tipster as part of our ‘How I Make Money Betting’ feature. The unique ‘Combo Tipster Report’ on how to improve your football betting profit by pooling advice from many popular tipsters. 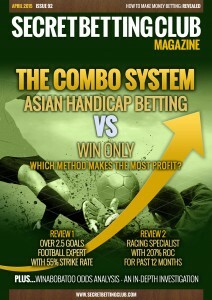 Special analysis: When to place Asian Handicap bets… And when not to! 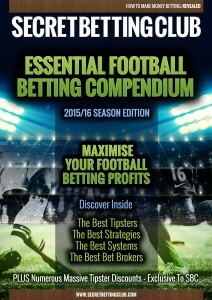 Fink Tank Football Guide – How to follow this profitable betting system during the 2015/16 season. 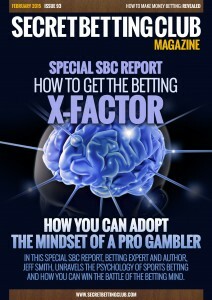 How To Get The Betting X Factor – A special report on how to win the battle of the betting mind. The NHL tipster with several profitable angles including ‘official’ picks with a 13.5% ROI and ‘basic’ selections up 10.6% ROI in the last 5 years. The popular NBA tipster hitting 4.2% ROI long-term and averaging around 44% betting bank growth each season. Our review identifies a simple tweak that can almost double the ROI to 8.3%. The NHL Tipster with a 246 pt profit (10.7% ROI) from 519 bets last season. The basketball Expert with 12.4% ROI and 163% ROC from proofed results. The time-served basketball tipster averaging 81% bank growth per season. 7000+ bets prove this is no fluke! The ice-hockey guru with a 11.5% ROI from the past 2 years tips. Plus – we also published 4 How-To-Bet-Guides for those of you new to US Sports for Baseball, Ice Hockey, American Football & Basketball. Chris Patti continues to lead the way with his profitable Betfair SP tips. He ended November up 20.57% ROI from 220 tips – all of which continue to be supplied free to SBC members via the forum. Paceman is making a fine profit from his short priced racing tips and since June, he has picked up 37.61 points at a ROI of 23.5% – all of which are continually available on the SBC Forum. Jason James posted free tips for a full 4 1/2 month period, making a 162 pt profit at a ROI of 25.99% from 475 bets. Throughout the whole of the 2014/15 season, we published every single Fink Tank bet on the forum for free. All 4 base Fink Tank systems made a fine profit with a 14.2% ROI from 299 bets for the ‘Win Value 15’. The Mystery Tipster posted free racing tips on our forum between October 2014 and May 2015, producing a profit of 155 pts at an ROI of 19% from 750 bets. Everything we do is dedicated to helping you – the ordinary punter make and improve just how much money you make from your betting. Because we are also fully independently run, we are also one of the few betting companies not reliant on affiliate or bookmaker advertising to make us money. Instead we are funded by our members, thus ensuring we can tell it is as it really is when it comes to the truth on the betting world. If the highlights of 2015 as outlined above appeal to you, then you can gain full instant access to it with a Smart Betting Club subscription.Starting at just £69.99 for a year, we firmly believe that we can help make you more money from your betting. So much so that we guarantee it with a 30 day anytime money back offer which allows you to get a refund if not happy for any reason with our service. In recent months there has been a lot of discussion about the clear victimisation of punters making money betting especially when it comes to horse racing. The recently formed Horse Racing Bettors Forum state it’s the number one issue punters raise with them, whilst I was also interviewed by the BBC on the topic as part of a recent 5 live investigation. The goal therefore for many punters (and ourselves) is to find profitable tipsters that circumnavigate this problem – including those we can use on exchanges such as Betfair or Smarkets. …And the good news is that in the latest SBC magazine, we reviewed a tipster that is doing just this – making a clear profit from advising tips to be backed on Betfair. Not just any profit either, but 464 points profit worth from nearly 4000 bets to boot! The service in question (which you can read full details on in SBC95) provides around 3-4 tips per day, all to be backed on Betfair. We have been tracking it closely since 2013 and have found clear evidence of a major profitable edge. ROC = Return on Capital. Some of you might sniff at the 5.9% ROI, but you would be wrong to do so. The key figure to look for here is the ROC or Return on Capital, which shows you how much money you could make from a starting point. For example, if achieving the 128% growth in 2015, a £2000 betting bank would now be worth £4,560. Significant profits from placing just 3-4 bets everyday on Betfair. These figures deduct as standard 5% commission on all winning bets, which is Betfair’s standard tariff. If you are charged a lower commission by Betfair or if placing your bets with our recommend exchange – Smarkets, who deduct just 2% (or 1% if taking up our special offer) then your profits will increase further. This is a very good point as all too often we come across tipsters that quote prices both on Betfair and elsewhere that are not realistic. All of this is why we run detailed odds tracking on all the tipsters we review including this service. This is what we found over the course of these 556 bets and the differences in average odds, profit/loss and ROI. Effectively if placing your bets 15 minutes after they were advised, your profit actually IMPROVED by 1% ROI!! What this told us is that not only were the advised odds realistic but as long as getting on within 15 minutes you would at least, if not better the claimed profits on offer. This kind of odds tracking is essential to understand just how realistic a tipster’s claimed profits actually are. We do if for every major tipster we review as we know how important it is. If interested in reading more about the racing tipster featured above, you can find our full detailed review in SBC 95, which is available to download the instant you join us at the Smart Betting Club. As well as the review, you can also save 50% on your first month’s membership with this service courtesy of the special Tipster Discounts we negotiate on our members’ behalf. Instead of pocketing cash for writing our reviews of tipsters, we do it for free and pass on any ‘rewards’ we might enjoy to SBC members in the form of these discounts. It’s just one reason why we are so different and on your side. We are here to help you make money betting…not the tipster or bookmaker! Sign-up for a Smart Betting Club Membership today. 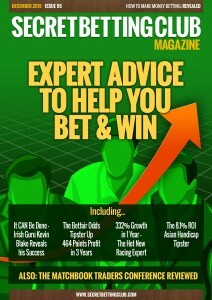 The Latest BUMPER Smart Betting Club Magazine (Issue 95) Is Out NOW!! Expert Interview: It CAN be done – Irish racing expert & author Kevin Blake discusses the secrets behind his punting success…Plus we review his latest book. Tipster Review 3 – The Asian Handicap football tipster with a 51% strike-rate and over 1800 points profit since 2009. SBC 95 is available to download the instant you subscribe to the Smart Betting Club. 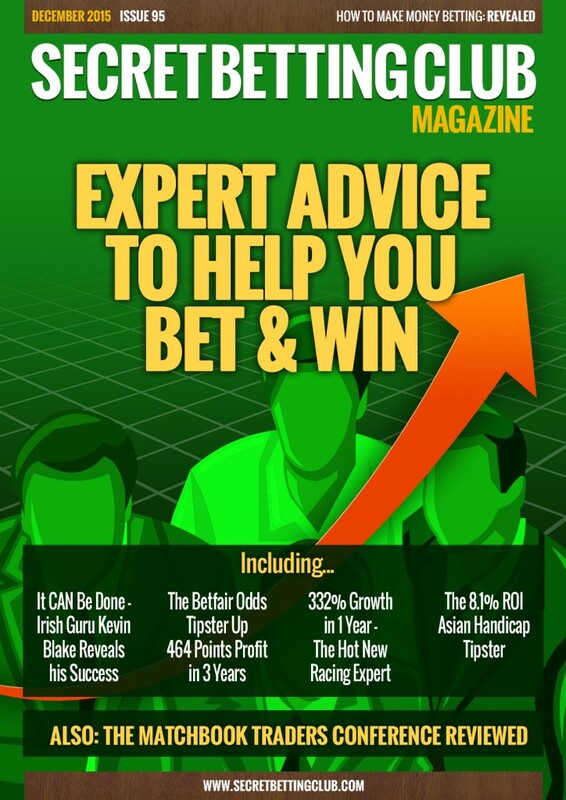 Alongside Issue 95, as a Gold or Platinum Smart Betting Club subscriber, you can also gain access to our 9 1/2 year back catalogue of expert tipster reviews, interviews and strategies. You can also enjoy significant discounts on the cost of joining many of these tipsters via our unique Big Tipster Discounts – exclusively available to SBC members only! The instant you join the Smart Betting Club, you will be able to download Issue 95 and discover the world of making money betting online. If taking up either a Gold or Platinum subscription you can also enjoy the peace of mind of our Money Back Guarantee if not satisfied once joining! Ensuring you can sign-up totally risk-free, with everything to gain and nothing to lose.